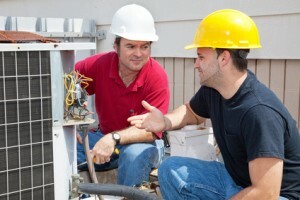 How Much Will Your Air Conditioner Installation Cost? Summer is just around the corner, and with it comes warmer temperatures that will require the use of a fully functional and efficient air conditioning system. When that familiar warm air and humidity hits us, you’ll want the peace of might that you are prepared as you can be. If you have an AC system that’s about to call it quits though, then now is the time to consider a Janesville, IA AC installation. 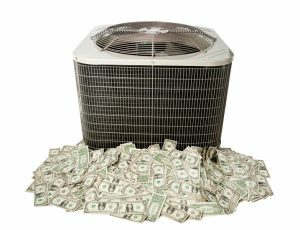 Posted in AC Installation | Comments Off on How Much Will Your Air Conditioner Installation Cost? Should You Invest in a Heat Pump this Summer? This time of the year is typically when most homeowners in the area begin to focus on getting their homes ready for the warmest part of the year. For many, this means scheduling preventive maintenance to ensure their air conditioning units are ready to do their job. For others, it may mean replacing an aging system. If you’re in the market for a new cooling system, you don’t have to settle for the same system you already have—there are many options available to you now. For example, you may do well to consider an Evansdale, IA heat pump installation. Posted in AC Installation | Comments Off on Should You Invest in a Heat Pump this Summer? How Does Sizing a New Air Conditioner Work? Spring is the time to replace old air conditioners with new ones, and if you’ve made the decision to put yours out to pasture, congratulations! As spring turns to summer here in Hudson, IA, this makes the perfect time of year to plan for a new air conditioner: before the heat really hits, when you can shop around and plan for the installation of your new system the right way. While doing so, speak with your technician about sizing your new air conditioner. By that, we mean the system’s output and power levels, not physical size. It’s very important that your new air conditioning system be sized properly, but how does that process work? Here’s a quick primer for you. Posted in AC Installation | Comments Off on How Does Sizing a New Air Conditioner Work? Why is there Frost in My Air Conditioner? One of the most common symptoms of a problematic air conditioner is the formation of frost on the evaporator coils. At first glance, that doesn’t sound like a big deal. Shouldn’t the air conditioner be cold? But in point of fact, frost on the air conditioning coils is a serious problem that needs to be addressed by a professional technician. With fall finally arriving here in Cedar Falls, IA, now is the time to treat the problem properly. But why is there frost on your air conditioner? The causes may vary, but the effects are unmistakable. Is it Time to Replace Your Air Conditioner? Labor Day has come and gone in Cedar Falls, IA, and while summer may still have a few hot days left in store for us, the colors will be turning before you know it. With the arrival of fall comes cooler weather, and with your air conditioner having done its duty for another year, now makes a perfect time to assess whether it’s ready to be replaced or not. That can be a surprisingly tough question to answer, since each circumstance is unique. But you can answer a few basic details about your existing air conditioner that can help you decide. Interested in cutting your cooling bill by at least 25%? Find out how! Which is a better buy? A higher priced air conditioner? The cheapest air conditioner one can find? When buying an air conditioner one should not look at the price or how new an AC unit is, but focus on the quality. The fact is that purchasing a high efficiency air conditioner proves to be a more profitable investment than a cheaper air conditioner. On the surface the price for a high efficiency air conditioner may be higher but will save one more energy and lessen the cost of energy bills down the road. This will allow one to save more money from energy bills which in turn allows one to save more money if they were to buy a cheap AC unit. The second reason it is better to buy a high efficiency AC unit is because it is a green investment. One leaves less of a carbon foot print and reduces the amount of pollution by buying a high efficiency AC unit. A green investment such as a high efficiency AC unit will also increase the value of one’s own home encase the homeowner is thinking of selling their home in the future. This is because a house’s green features are progressively becoming more important to those looking to buy a home. The last benefit to buying a high efficiency AC unit is because it has more functionality than a cheaper model would have. One of the most important functions that a high efficiency AC unit has is better control of the manipulation of the temperature. Everyone has their own preferences when it comes to the perfect room temperature. 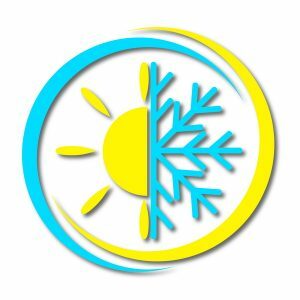 It is worth buying an AC unit that can achieve in finding one’s own perfect room temperature instead of making it so one has to settle with whatever temperature the cheaper AC unit can handle. Another bonus of a high efficiency AC unit is that it is less prone to break down. If one settles for a cheaper unit and it ends up breaking down. Then one would spend the money they saved in buying a cheaper unit by having to buy another new AC unit. Certainly getting a high efficiency AC unit is a bit higher in terms of price. However, when making such an investment it is better to invest in something that will definitely serve its purpose to one’s preferred standards. Looking to upgrade the AC unit in your Cedar Falls home? Call Dalton Plumbing, Heating & Cooling Inc. at (319) 266-3513 and schedule a service call with one of our experts today! Fireplace Showroom: Open during hours above or by appointment. © 2015–2019 Dalton Plumbing, Heating, Cooling, Electric and Fireplaces, Inc. All rights reserved.